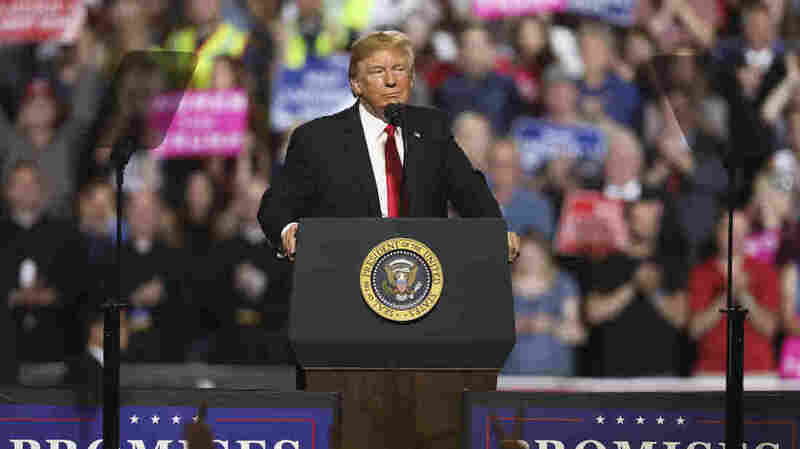 President Trump said at a rally Thursday in Great Falls, Mont., that he is confident about going into a planned July 16 meeting with Russian President Vladimir Putin. The leader of the delegation, Alabama Sen. Richard Shelby, said he thought the meetings had a hopeful tone. He wouldn't use the R-word â" "reset" â" but said he thought the Russians ' willingness to host him and his colleagues showed how serious they were about trying to move out of the impasse between the two powers. The lawmakers visited ahead of the summit scheduled for July 16 between President Trump and Russian President Vladimir Putin in Helsinki. Trump said separately at a rally this week that he is confident about going into the meeting and that reporters don't give him credit for all his experience dealing with such matters. "They're going 'Will President Trump be prepared, you know, President Putin is KGB and this and that,' " Trump said. "You know what? Putin's fine. He's fine. We're all fine. We're people. Will I be prepared? Totally prepared. I've been preparing for this stuff my whole life. They don't say that." Peter Strzok, a onetime FBI deputy assistant director of counterintelligence, is going for another dip in the shark tank. The House Judiciary Committee interviewed Strzok late last month for some 11 hours behind closed doors, and lawmakers have scheduled another hearing with him on Thursday â" this time in public. Strzok's lawyer said at first that they weren't sure whether they would participate in the open hearing. "We have come to the conclusion â" forced to come to the conclusion â" that this is not a search for truth," attorney Aitan Goelman told CNN. "It is a chance for Republican members of the House to preen and posture before their most radical, conspiracy-minded constituents." Ultimately, however, Strzok decided he would plan to appear before the joint session of the House Judiciary and oversight committees. Judiciary Committee Chairman Rep. Bob Goodlatte, R-Va., issued a subpoena compelling Strzok to testify. So there was that; skipping the hearing raised the political risks, but at this point, Strzok may calculate that he has nothing more to lose. Strzok is the centerpiece of Republicans' campaign that the whole Russia imbroglio is baseless. 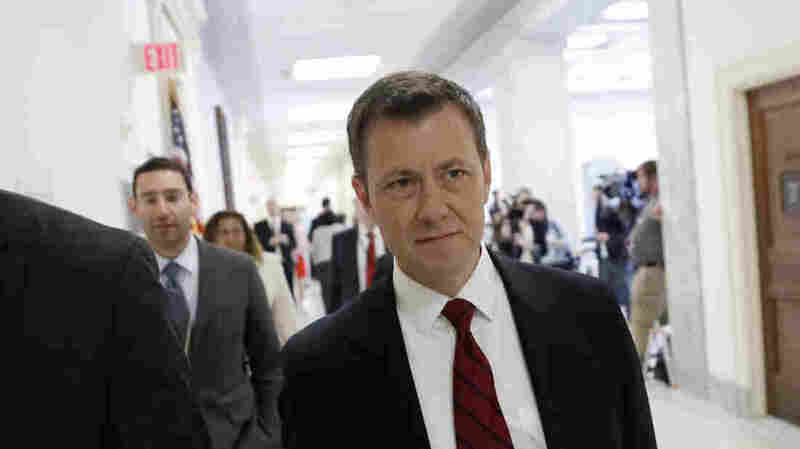 His frank anti-Trump text messages with former FBI lawyer Lisa Page embarrassed the Justice Department and may mean even more trouble for Strzok, in particular if he is formally disciplined by the FBI or worse. Strzok and Page sent each other thousands of text messages on their official U.S. government mobile phones about their frank political opinions on Hillary Clinton, Bernie Sanders and, most famously, Trump. They were not fans of the Republican candidate in 2016, to put it mildly, and talked about using their official powers to "stop" Trump from being elected. That, for Trump and his supporters, supports their broader case about the whole Russia investigation being a c onspiracy by "deep state" insiders â" a scheme so nefarious it permitted its victim to be elected and inaugurated and then take office. But even if the conspiracy theory doesn't make sense, the political opinions espoused by Strzok and Page really have tarnished the image of the FBI at a time when Trump's allies were looking for political weapons against it and the broader Justice Department. So Republicans want as much time on TV as they can get to castigate Strzok, and he understands that. Peter Strzok, a onetime FBI deputy assistant director of counterintelligence, heads to a private meeting with the House Judiciary Committee last month. At the same time, Strzok and his attorney evidently feel this might be a real chance to get their story out. Strzok could even try to turn the tables on his interlocutors: open with contrition, acknowledge the findings of the inspector general's office and then rely on Democrats to carry him through. Strzok would be the most closely involved with the Russia investigation to talk to Congress. His story and political o pinions are not news anymore. What he says about the investigation might be. Another reason Strzok and his camp might have calculated that it's smart to appear on Thursday: simple counterprogramming. All of Washington, D.C., and much of the country will likely be preoccupied with the announcement that Trump has scheduled for earlier in the week about his nominee to the Supreme Court. Compared to a story of that magnitude, even Strzok v. House Republicans may get lost in the noise. Justice Department special counsel Robert Mueller is leaning more on the efforts of U.S. attorney's offices outside Washington and even people outside his own shop at Main Justice, as Bloomberg reports. What does this mean? (And how much more is "more"?) As usual, no one really knows except people inside the family â" and they, as us ual, aren't talking. This one belongs in the "maybe Mueller is wrapping up" pile: The special counsel might be moving cases â" for example, the prosecution of Trump's longtime personal attorney Michael Cohen â" outside his own office because he is getting set to conclude his own work and leave what is left for others to carry forward. The special counsel's office is involved with at least three ongoing court cases of its own: two prosecutions against Trump's former campaign chairman Paul Manafort and its case against the entities linked to Russia's campaign of social media agitation against the U.S. and the West. That means several more months of work at least, but if Mueller has nothing else up his sleeve â" no historic legal battle royale with Trump over testimony, for example â" the end of the Russia investigation might be in sight. Or, as Bloomberg also reported, the special couns el's office could just be getting started: It may have reached a decision about whether Trump may have broken the law in trying to frustrate the Russia investigation â" or, at least, reached that decision first â" and then will focus more heavily on the question about whether anyone in the Trump campaign conspired with the Russian attack on the election. The intelligence community's report about the Russian attack on the 2016 election was "sound" and a "seminal" product by the national spy agencies, the Senate intelligence committee has concluded. Contrast that with the official conclusion of the House intelligence committee, which found â" at least in its written report â" there wasn't evidence that Russia's attack on the election was designed to help Trump be elected. Yes, there was, the Senat e committee found, and it concurred. This finding says more about the partisan dynamics within the People's House and the World's Greatest Deliberative Body than it does about Russian active measures. It also confirms, however, that although the House committee considers this matter closed, the Senate panel does not â" and the report notes that the Senate intelligence committee has more such reports that it plans to release.